Canadian singer/songwriter, Jayne Ava, is ready to take on the US charts as she finishes her upcoming EP, March. From a young age, she threw herself into the world of musical theatre and attended a performing arts school from 6th grade on. 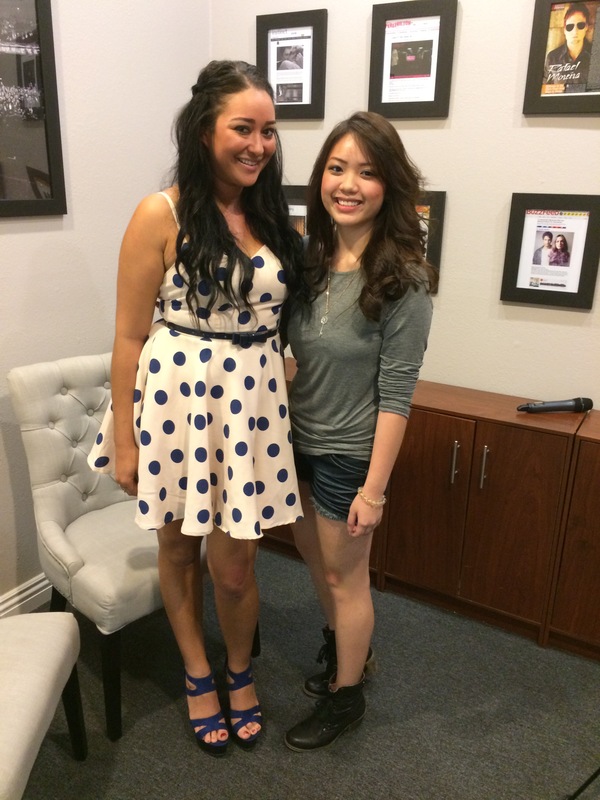 After high school, Jayne moved to LA to pursue her dreams of writing and performing alternative-pop music. Her electric sound can be described as soulful, electric pop fueled by a large range of emotions. TeenInfoNet sat down with the rising star for an exclusive interview where she explained to us her musical influences, inspirations behind her music, life in Los Angeles and much more! Be sure to check out the interview and learn more about Jayne Ava at JayneAva.com. Bella Thorne’s About To Get “High” In ‘Perfect High’, A Lifetime Original Movie! Vancouver-based Sepia Films and LA-based Just Singer Entertainment have announced the start of production on PERFECT HIGH, a Lifetime movie set in the disturbing world of teenage heroin use. Inspired by the shocking rise in heroin addiction among suburban teenagers, PERFECT HIGH stars Bella Thorne (Blended; Alexander and the Terrible, Horrible, No Good Very Bad Day; Shake it Up) as Amanda, a star high school dancer who starts using prescription painkillers after being sidelined by a knee injury. Feeling neglected and isolated, Amanda is adopted by an ultra cool group of friends, including Carson (Israel Broussard, The Bling Ring), Riley (Daniela Bobadilla, Anger Management) and Nate (Ross Butler, Teen Beach Movie). She quickly becomes part of their inner circle, which means sharing her pills, having regular “pharm” parties, and falling in love for the first time. As their drug use inevitably spirals into addiction, Amanda and her friends resort to lying, stealing and worse to fund their habit. Their lives are forever altered when a classmate begins selling them heroin disguised as a cheaper painkiller from Mexico. Directed by Vanessa Parise (Jack and Jill vs. the World; Kiss the Bride) and written by Anne-Marie Hess, PERFECT HIGH is being produced by Sepia Films’ Tina Pehme and Kim C. Roberts (The Games Maker, which just premiered at Sundance; In their Skin; A Shine of Rainbows) in collaboration with executive producer Sheri Singer of Just Singer Entertainment (Disney’s upcoming Invisible Sister, Girl vs. Monster; Halloweentown Franchise). Production on PERFECT HIGH is scheduled to run February 1 – 22, 2015 in Victoria, BC, with Lifetime premiering this summer in the US and Super Channel/Shaw taking Canada. A&E is selling foreign territories. Founded in 2003 by producer Tina Pehme, entertainment attorney Kim Roberts and director Vic Sarin, Vancouver-based Sepia Films is a feature film production company specializing in international co-productions. Their output includes such diverse theatrical fare as The Games Maker (Joseph Fiennes, David Mazouz and Ed Asner) which premiered last week at Sundance, the thriller In Their Skin (Selma Blair, Josh Close, Rachel Miner and James D’Arcy) which premiered at Tribeca 2012, the award-winning A Shine Of Rainbows (Connie Nielsen, Aidan Quinn) which premiered at TIFF 2010, and 2007’s Partition, starring Jimi Mistry, Neve Campbell, Kristen Kreuk, and Irrfan Khan. Sepia Films also produced a series of TV movies with Lifetime known as the “Nightmare” franchise, including 2014’s A Wife’s Nightmare starring Jennifer Beals, Dylan Neale and Spencer List. A Daughter’s Nightmare, starring Emily Osment, Gregg Sulkin and Paul Johansson; 2013’s A Sister’s Nightmare; and 2012’s A Mother’s Nightmare. Emmy Award-winning producer Sheri Singer launched Just Singer Entertainment in 2000. The company’s primary focus is developing and producing movies and series for broadcast and cable networks. Singer has produced 28 movies, miniseries, and microseries in addition to PERFECT HIGH, She has produced 15 movies for the Disney Channel, including Good Luck Charlie: It’s Christmas and two highly rated perennials, the four- movie Halloweentown franchise and Luck of the Irish. The latter two films are part of the permanent collection at the Paley Center for Media. She is currently in pre-production on her 16th movie for Disney Channel. Take a look at a few of the first images from the production below. 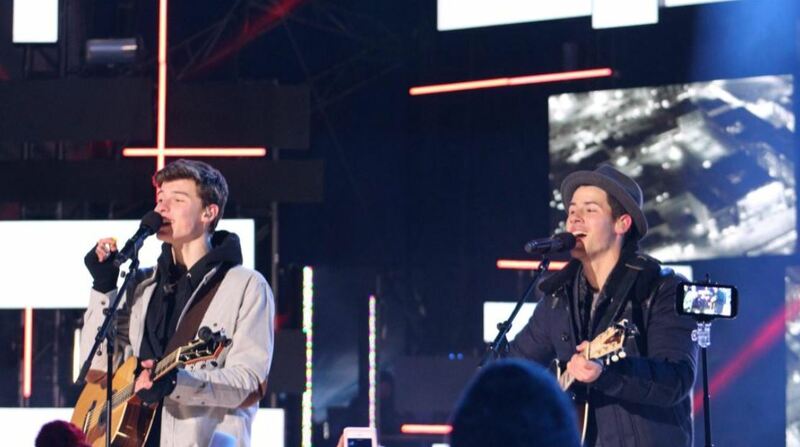 Nick Jonas And Shawn Mendes Perform “Lean On Me” In Niagara Falls For New Year’s Eve! – Watch Here! Be sure to check out Shawn and Nick’s performance by watching it in the video below! There’s Only 15 Days ‘Til Charli XCX’s EP ‘Sucker’ Comes Out In America & Canada! Charli XCX’s new EP, SUCKER, will be available for release in America and Canada in less than 15 days! But you don’t have to wait! You can go to iTunes to pre-order and get a few tracks from her EP right away! Are you excited for Sucker? Shawn Mendes Performs In His Hometown In New ‘Life On The Road’ Episode – Watch Here! In an all new episode of Shawn Mendes‘ new #LifeOnTheRoad series, Shawn performs in his hometown – Toronto, Canada. Shawn has performed at numerous venues in front of thousands of people but the musician reveals that he is nervous to perform in Toronto since not only will hundreds of his fans be there but also his family and friends! Be sure to check out the new #LifeOnTheRoad episode by watching it in the video below and let us know what you think by commenting! Debby Ryan Attends ‘We Day’ In Vancouver – Pics Here! Debby Ryan was in attendance at the ‘We Day’ special event in Vancouver, Canada on October 22nd. Debby looked lovely in a green floral skirt and black shirt as she spoke onstage. ‘We Day’ brings young people together to celebrate the actions that they are taking in their local and global communities and to inspire another year of change by sharing the passion of world leaders and entertainers. Nick Jonas Performs “Jealous” At We Day Vancouver – Watch Here! Nick Jonas took the stage this afternoon (Wednesday, October 22) at We Day Vancouver in Canada where he performed his hit single “Jealous.” All of Nick’s fans in the crowd were going crazy during his performance. Be sure to check out Nick’s performance of “Jealous” by watching it in the video below and let us know what you think by commenting! Selena Gomez Hosts ‘We Day’ In Vancouver – See The Photos! Selena Gomez looked pretty in pink as she hosted ‘We Day’ in Vancouver, Canada on October 22nd. ‘We Day’ brings young people together to celebrate the actions that they are taking in their local and global communities to change by sharing the passion of world leaders and entertainers. Other celebrity appearances included Orlando Bloom, Nick Jonas, Macklemore and more. Selena Gomez Departs From LAX And Heads To Canada – Pics Here! Selena Gomez was spotted at LAX airport in Los Angeles, California on October 20th. Selena and Alfredo Flores hopped on a flight to Canada. Selena and Alfredo dodged the paparazzi as they made their way through the airport. Hilary Duff Is In ‘Elle Canada’s December 2014 Issue! – Photos Here! Hilary Duff is taking Elle Canada by storm in their upcoming December 2014 issue. Hilary did a photo shoot with Elle where she rocked famous famous labels Saint Laurent and Dolce and Gabbana. Which photo do you like better? Let us know in the comments below and be sure to pick up her issue of Elle Canada on news stands soon!